When you get an autism diagnosis for your child, it’s easy to get overwhelmed and caught up in the negativity. “Your child will never talk… Your child will never have friends…” etc. The point of this post is that for every “negative” aspect of autism, there is definitely a positive aspect. You just have to know where to look! So I turned to those in the Embracing Autism Facebook Group, and I asked for some awesome things about autism. I was BLOWN AWAY by the response. 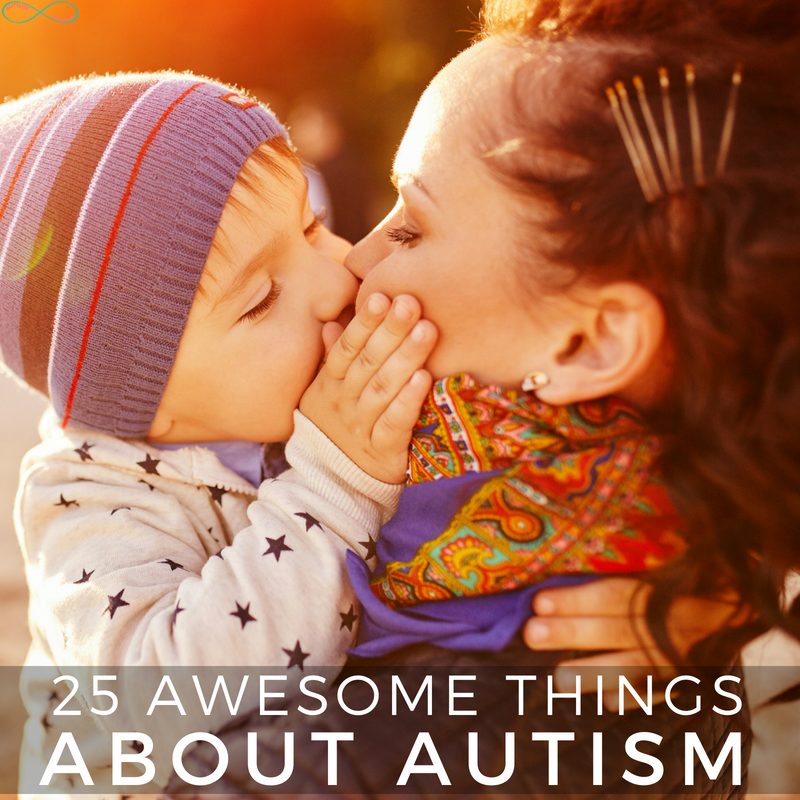 So I compiled these 25 awesome things about autism that you can read whenever you need a pick-me-up! But that’s not all… I had WAY more awesome things than would fit in this blog post. 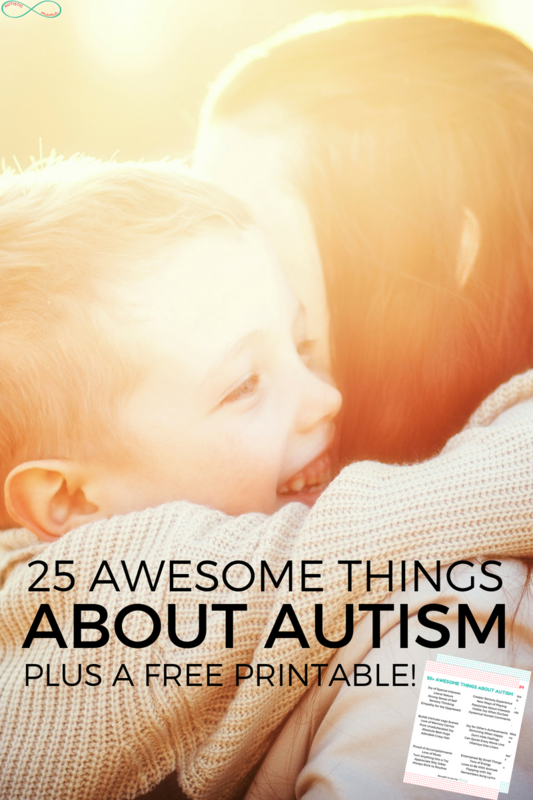 So I put together a pretty epic printable for you with more than 50 awesome things about autism too! Read these when you’re feeling down and need a quick pick me up, or when you just need to shift your mindset and remember the positives! When they flap with joy. Their love of memory games. Their ability to stun people with facts. They can turn anything into a toy. Their strong sense of self. They think outside the box. They physically light up when excited. They have a greater sensory experience. They notice patterns where others miss them. Their love of straight lines and order. They are accepting of everyone. They can quote every line of a movie. The joy of their special interests. Their empathy for the oppressed. Their stimming when they are happy. They see the hidden things in life that neurotypicals miss. Their pure love without rules. They don’t stress about social rules. Their unique perspective on life. 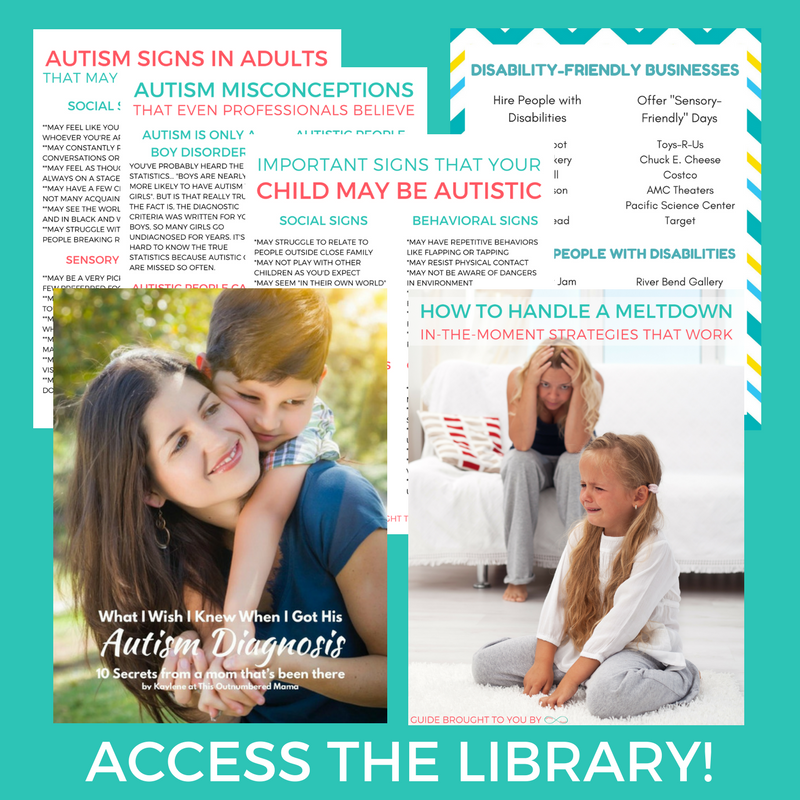 Your Free 50+ Awesome Things About Autism Printable! Okay, so it’s great to read a blog post with some awesome things about autism, but what about when you go back to real life? 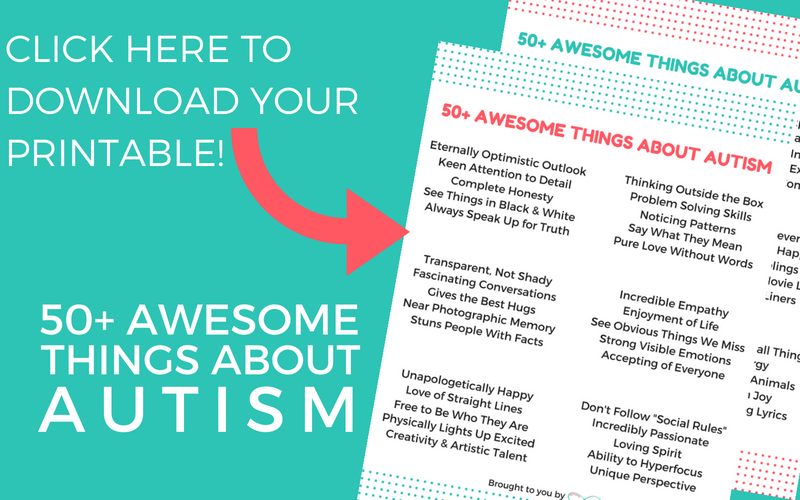 That’s exactly why I made the 50+ Awesome Things About Autism printable for you! Print these out and keep them handy for whenever you need a pick-me-up. Click on the image below and tell me a little bit about your situation, and you can download these printables. Plus you’ll get access to the entire resource library with tons of printables designed specifically for you! What a lovely post, and very much mirrors my view of autism too. I didn’t know about the FB Page, that’s useful, i’ll Check that out. Thank you, we all need a pick me up and this is it! I absolutely love this article. It’s so true!